Though there's nearly as much variety among houses and homeownership loans as there is among the people who inhabit those homes, the mortgage loan process is a pretty standardized affair. 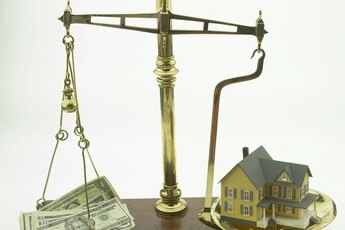 That's not to say it's entirely without potential hiccups or delays – also unique to each borrower's situation – but when you're dealing with conventional mortgages, the mortgage loan process timeline is a reasonably predictable beast or at least one with plenty enough precedent to give you an idea of what you can expect. As is the case with virtually any financial goal, it's best to take the long view here. Like Alexander Pope said, "Blessed is he who expects nothing, for he shall never be disappointed.” In other words, if your lender tells you that something will take up to three days, expect to wait three days instead of one or two; if they say "up to two weeks," don't expect one week. Planning ahead and practicing patience will give you much more time to allow for pleasant surprises, and to go through all those paint samples and Ikea catalogs, anyway – and that's really the fun part. Before you get into the conventional loan process, there's another turnaround time to consider: your pre-approval time. 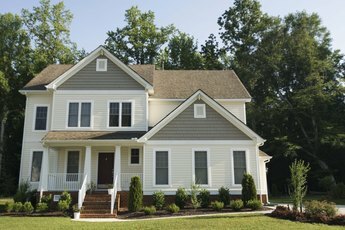 A mortgage pre-approval is a document from a lender that assesses how much of a loan you qualify for, based on pulling your credit history and an appraisal of your financial history. Having this in-hand before you even apply for a mortgage not only gives you a clearer picture of exactly how much house you can afford, shows your lender that you've done your homework as a savvy buyer and may help you negotiate pricing and terms. Perks aside, some sellers and listing agents straight-up require pre-approval from your lender. Pre-approval is far and away the breeziest, speediest part of the mortgage loan process timeline. On your time, it's up to you to decide you much of a monthly mortgage payment your budget allows – use an online mortgage rate calculator to get an idea of loan amounts and payments. Once you've got a range in mind, collect all the information you'll need to get pre-approved, such as your basic ID documents (driver's license and social security card), at least 30 days worth of pay stubs, two years worth of W-2s and tax returns and about two months of recent statements. With those docs on deck, give your lender a call or use their online pre-approval form to enter your data. All that happens next is that your info gets run through an automated underwriting system. In most cases, you'll get your results in about five-to-10 minutes. If the results recommend that your lender approve you, you're good to go. If you get results such as "refer" or "refer with caution," tack a little time onto the proceedings. Often, this means that you're missing a little information here or there. If that's the case, allocate a few extra hours to track down, say, your pay stubs from an old employer over the phone. In the absolute worst-case scenario, issues like a low credit score, debt with the IRS or a previous short sale can delay your pre-approval by several months until resolved. Once you get your pre-approval letter, it's valid for about 60-to-90 days. That means it's time to kick off the application process within that time frame. The conventional loan journey takes off with the application itself, the next natural step after you get your pre-approval. If you've enlisted a mortgage professional to help you along, they'll usually spring the application on you within one-to-five days into the mortgage journey. As long as you have your documentation – mostly the same documents you used for your pre-approval – collected, the application itself should take less than an hour. Whether you apply online or in-person, you'll simply need to answer a series of fill-in-the-blank questions about what sort of loan you want, the desired amount and length of the loan, when you want to receive the money, as well as provide info about your property's type, location and estimated value. Also, be prepared to provide basic contact info, employment information and personal identification questions alongside info about any current loans you may already have. If everything goes according to plan, you should receive a loan estimate – a breakdown of closing costs, interest rate and monthly payment amount, among other tax- and insurance-related info – within three days of submitting your application. Let's say you don't decide to move on after reading your loan estimate. That's absolutely an option, and you may choose to end your mortgage journey right here without spending any more time. On the other hand, if you're happy with the estimate, it's time to move forward. You shouldn't expect too many surprises at this juncture, as your lender is obligated to honor the terms laid out in their loan estimate for 10 business days. As such, you'll want to process your mortgage during that window. When you decide to move forward with your application, let your lender know, and they will begin to process the mortgage. Behind the scenes, they'll have a look at your credit report, the home's appraisal and its title report, all while verifying the information you provided on your application. Then, they scope the appraisal and title report for any property issues. After this, your lender will request some documents from you before you're approved. Expect to provide docs including (but not limited to, by any means) your W-2s and at least a month of pay stubs or tax returns from the past two years, alongside rental agreements, bank, stock and mutual statements and your most recent records of stock brokerage or retirement accounts. Any delays to provide the requested information on your end will extend the approval process accordingly. Once the loan officially achieves "approved" status, you'll get a packet known as the closing disclosure. It confirms and finalizes details from the loan estimate and goes into detail about the loan's terms. By law, your lender is required to provide this to you a minimum of three business days before you close on your mortgage. Use those three days to have a thorough look at the disclosure and contact your lender with any questions. Finally, your lender's closing attorney will schedule an appointment for you to pay your down payment and any required closing costs before you review and sign the loan documents. After you put pen to paper, the average closing time for a conventional loan transaction is about 14-to-21 business days. However, if your lender is experiencing a particularly high-volume period, it can take up to 60 days. Now that you have a basic idea of the average closing time for a conventional loan, it's never a bad idea to add a little time cushion to your estimate to account for variables. Wise is the homeowner who expects the unexpected. If your lender finds any derogatory credit marks on your report when they're processing the mortgage, this can tack some time onto things as you'll have to provide a written explanation of the issues. Likewise, any property issues that pop up during processing can cause a wide range of delays, depending on their severity. Remember that mortgage loan pre-approval you got? It comes back into play here – getting a pre-approval through your mortgage lender can expedite the process even further, as you've already put a great deal of your financial info into the lender's system. The Mortgage Reports: How Long Does It Take to Get Pre-Approved for a Mortgage? 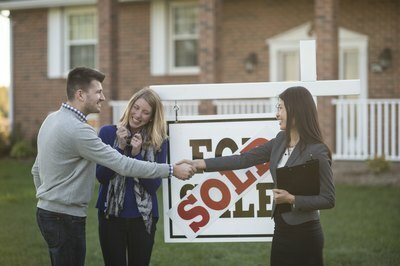 Credit.com: How Long Does It Take to Get Approved for a Mortgage? How do I Get Pre-Approved for a Mortgage Online?